In the weeks running up to the local elections, PRWeek spoke to a number of councils about their plans to encourage voter registration and turnout. Here we revisit some of them, post-elections, and see how their campaigning affected turnout. Back in March, when local comms teams were preparing for their local election comms campaigns, we ran a story about the Electoral Commission's launch of a nationwide campaign using the banner 'Got 5?' and slogan 'Your future. Your vote. Your choice' to mobilise voters. Now that it is the end of May, the battle is over, the electorate have had their say and their votes have been counted. Given today's politically charged landscape and the gains made by Labour in last year's snap general election, the outcome was unremarkable. When politicians dispense with their usual hyperbole and instead use words like "solid" to describe their party's performance, you know they tacitly share the sentiment. Labour failed to take several areas from the Tories, which themselves won some, lost some. The BBC's projected national vote share puts both parties at 35 per cent. So little change. Turnout for 2018 reached similar levels to previous years' local elections. The Electoral Commission says that it does not have an official national turnout figure, but a BBC estimate based on 800 key wards was 36 per cent, the same as four years ago. Below is a look at how some of the local authorities fared compared with the national average, with some winners and some losers. 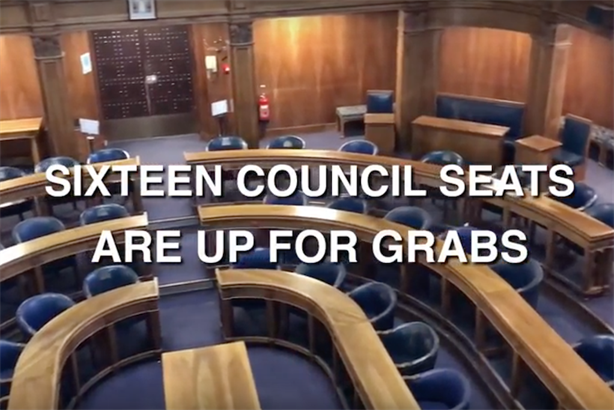 Of all the those PRWeek spoke to, St Albans City & District Council was the outright winner – thanks to both a politically minded electorate and to its campaigning. For its 2018 campaign, the local authority relied on press releases for general audiences and social to reach its politically engaged electorate. It issued four releases and gained "considerable coverage in one of our two local papers (The St Albans Review)". It also regularly shared and retweeted messages from the Electoral Commission, publicised on its website. Overall turnout for its last district elections was 39.5 per cent. This year saw the council surpass itself, with an overall turnout of 46.5 per cent, way above the national average. In one of the wards it reached 50.2 per cent. John McJannet, principal comms manager at St Albans City & District Council, says the elections team was generally "pleased with this figure". "However, it's hard to say how much of this was driven by our attempts to raise awareness of the elections and the need to register to vote beforehand," he adds. "For us, the highlight was getting the results out as they happened on the night on both the council’s website and Twitter page. Voters in local elections used to complain they had to wait until the local paper came out to see the results – now, of course, they are much easier to obtain." Hastings Borough Council saw Labour win 24 seats, followed by the Conservatives winning eight. It achieve a total turnout of 37.6 per cent, with its St Helens ward boasting the most politically engaged electorate, with a 48 per cent turnout, followed by Old Hastings (47.4 per cent). Pre-election campaigning focused on boosting the youth vote, with its Youth Council teaming up with council officers to visit local colleges and universities to sign up people to the electoral register. The leaders of the three main parties involved were also invited to talk about their manifestos with young people in an item posted on the Youth Council's Facebook page. Kevin Boorman, Hastings Borough Council's marketing and major projects manager, admits "it’s always difficult to measure the effectiveness of a campaign when there are so many variables". He adds: "But our engagement with our Youth Council was definitely positive, and it was great to see the young people so engaged in the election." Several miles west along the south coast, Southampton City Council saw Labour win, with a no-change 24 seats, and the Conservatives securing 19 seats, again no change. Its largely media relations-drive campaign was backed by social media content including video. Given its large student population, with University of Southampton and Southampton Solent University attracting around 40,000 students, the area has a high number of eligible voters, totalling 168,995 across 16 wards. But the results perhaps indicate a disengaged youth electorate. Voter turnout was below the national average, at 32.8 per cent. 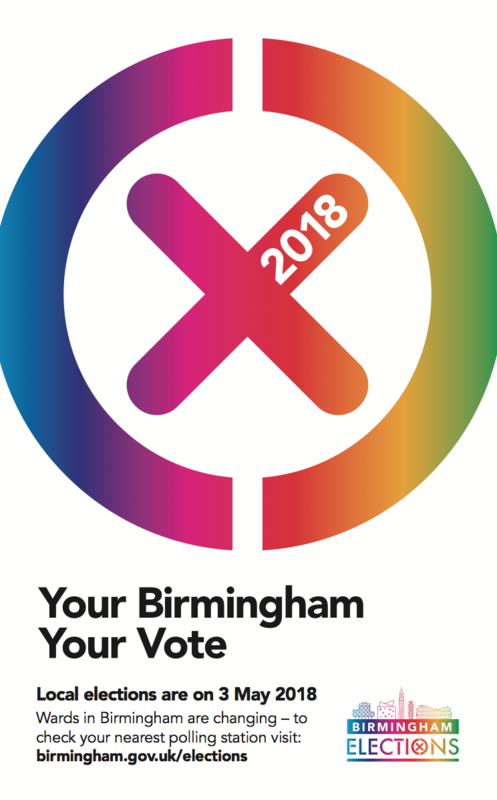 For its 2018 local elections, Birmingham City Council adopted the slogan 'Your Birmingham. 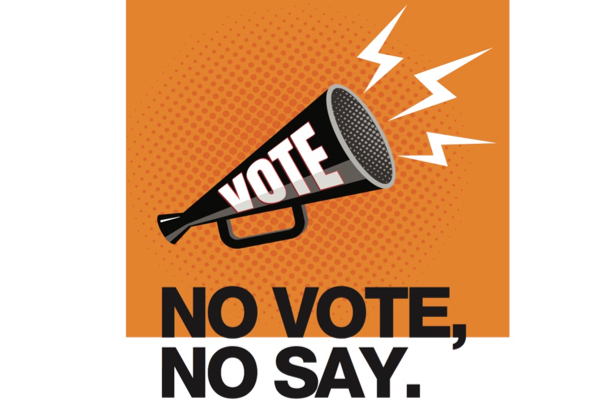 Your vote' for a campaign aimed at encouraging young people to register, to check their polling station and on election day to turn up and put their vote in the ballot box. Challenges included the fact that Birmingham had not held all-out local elections since 2004, plus a reduction in wards from 120 to 101, changes that clearly needed communicating. This resulted in a more emphatic comms strategy than those of previous years, which appeared to pay dividends. Turnout this year was 32 per cent, a marginal increase on the 31.7 per cent turnout last year. Sarah Kirby, Birmingham City Council's press and PR manager, said that the results "held steady", adding: "Importantly we were not aware of many concerns about people not knowing where their polling station was, which was something we were worried about due to completely new wards." The council said it is in the process of doing a more detailed campaign analysis. Lambeth Borough Council saw Labour triumph with 57 wards won. The Conservatives won a single ward, while the Greens won five. For its pre-election comms, Lambeth's team drew the electorate's attention to the ease of registering, while stressing 'No vote, no say'. Spanning digital, social and print channels and created in-house, materials such as A3 posters and A6 postcards were distributed to candidates, political agents and councillors, and 42 JCDecaux six-sheet ad panels were posted at locations across the borough, reminding residents of the registration deadline. The council also tried to identify and reach under-represented groups, including students, young people, private renters and members of ethnic communities. 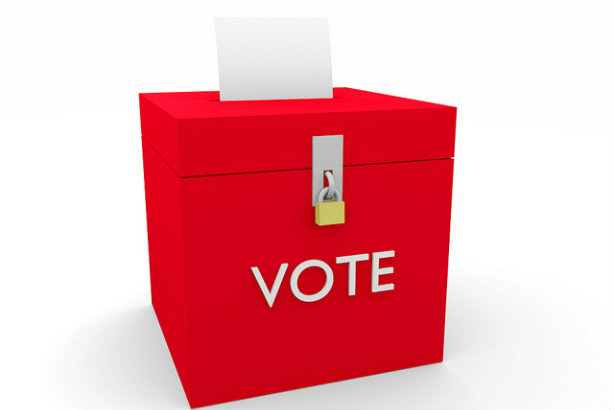 In its 2014 local council elections, Lambeth achieved a borough-wide turnout estimated at 35 per cent. 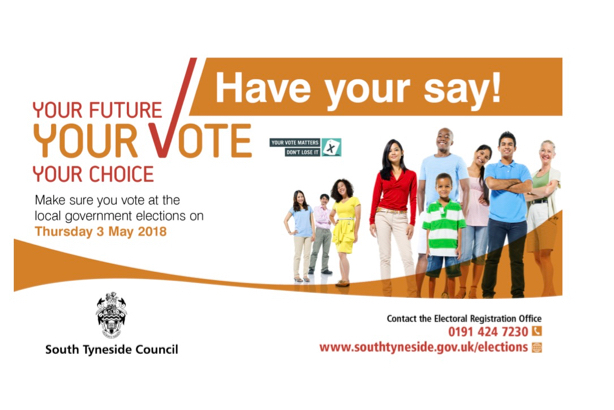 South Tyneside Council this year issued press releases around a variety of subjects, from countdowns to local government elections, including reminders of registration deadlines, to what voters needed to do on election day. All releases were available on the council's website, and traffic was driven to the portal via its Facebook page. The council declined to comment on the impact of its campaign. But it achieved similar turnout in 2018 to 2016. During its 2016 local government election, South Tyneside Council achieved a voter turnout of 33.8 per cent. For this May's local elections it experienced a marginal fall in turnout, to 33 per cent. In South Tyneside, the Conservatives won just one seat, Labour 53, while the Independent party lost its only seat. The Electoral Commission kicked off its 'Got 5?' 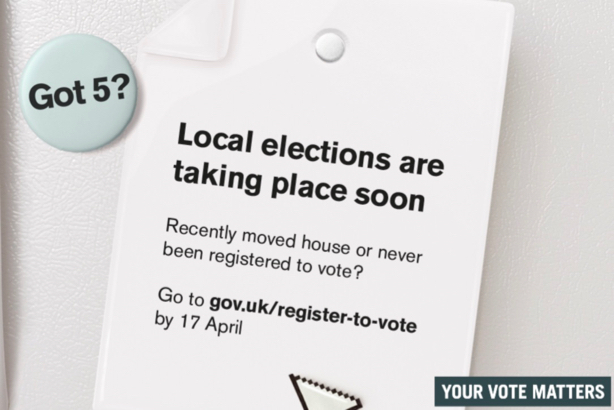 campaign in March, with the tagline emphasising to the electorate how little time it would take them to register to vote by the 17 April deadline. The campaign represented a "new approach" for the organisation, with a greater emphasis placed on the positive (having a say) rather than the negative (losing a chance to vote). Activity spanned a variety of channels, including the commission's Facebook, Instagram and Snapchat accounts, while local media in low registration areas were targeted. Local councils were provided with templates that they could adapt fo their own campaigns, be it posters or social posts, and a video featuring vignettes of downtime drove home the notion of spare time when people could be registering. The Electoral Commission says it received "quite a high number of applications" for registrations as a result of the campaign, fewer than last year but mainly because elections were only taking place in some parts of the UK. Encouragingly, given the historical issue of a politically disenfranchised youth, most applications were from 25- to 34-year-olds, followed by 18-24s (see below). Unsurprisingly, online registrations fluctuated in the weeks leading up to deadline day (in the low thousands and peaking near the 10,000 mark), with paper applications sitting below. The 17 April date itself saw a massive surge in activity, with 127,000 digital and 5,250 paper registrations made. The organisation is particularly happy with the impact in spite of it not using TV advertising – usually the most effective means of boosting awareness. It was also pleased with the shift in tone and the 'Got 5?' message, especially the Twitter hashtag. Ben Hancock, the Electoral Commission's manager of campaigns and corporate comms, told PRWeek: "We’re happy with its effectiveness, especially given we weren’t able to use TV advertising (given the sporadic nature of the elections), which is usually the most effective channel for awareness-raising."